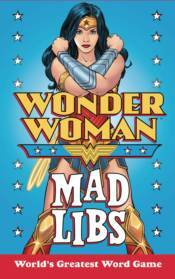 Wonder Woman Mad Libs includes 21 original stories starring everyone's favorite superhero! Whether you've been a fan of the Amazing Amazon since her DC Comics debut, or just recently purchased your first pair of indestructible golden bracelets after seeing the Gal Gadot version of the film in theaters, this Mad Libs has something for every Wonder Woman fan to enjoy. Filling in the blanks of the action-packed stories inside this book is almost as exciting as lassoing your very own bad guy� almost. Lasso of truth not included!